targeted marketing campaigns for higher ROIs. ab180 is one of Korea's TOP digital advertisement company which services over 300 enterprises including Ebay korea, GS ghop, and Woowa Brothers. Our team of developers comprise of Korea's finest software engineers from top enterprises such as Google, LINE, Naver, Software Maestro, and WeMakePrice. Our CEO Roi Nam and the development team lead Wonkyung Lyu were selected as the National TOP 8 software developers of Software Maestro by the Ministry of Science and ICT in Korea, 2015. - Louis Jinhwa Kim, Co-founder/Board of Director, The Blockchain Association. - Timothy Yang CSO, 42 Media Corp.
GS SHOP is Korea’s leading online home shopping retail platform. In 2017, GS SHOP’s gross merchandise volume amounted to $3.5B USD. It is also part of GS GROUP, one of Korea’s largest conglomerates. Allbit is Korea’s leading decentralized cryptocurrency exchange. It was invested by Upbit, one of Korea’s oldest and leading cryptocurrency exchanges. FoundationX is one of Korea’s rising blockchain venture capital funds and accelerators. FoundationX is focused on building and investing into promising blockchain projects. VEAT Law Firm is one of Korea’s leading law firms focused on providing legal counsel to start-ups. The firm has also provided legal advise to several blockchain start-ups including Airbloc Protocol. SENTIENCE is one of Korea’s leading data science company comprised of the top researchers from KAIST University in Korea. Airbloc Protocol was chosen as a partner of SENTIENCE to co-develop statistical and machine learning models. Battle Entertainment is a leading comics platform within Korea serves more than a million customers. Battle Entertainment serves as a supplier of personal data (preferences, reading history, etc) to the Airbloc Data Marketplace. Humanscape is Korea’s leading medical customer relationship management platform which helps hospitals to monitor patients’ status after surgery and provide aftercare services to the patients. Humanscape serves as a supplier of medical and disease related data to the Airbloc Data Marketplace. Rainist is a leading Korean fintech software company which provides recommendations for financial products based on one's lifestyle patterns. It provides a financial management service Bank Salad with over 830,000 downloads on Apple Appstore and Google Playstore. Rainist serves as a supplier of financial data (credit card transaction history, financial spending history, etc) to the Airbloc Data Marketplace. Kmong is the TOP micro business matching platform in Korea. It enables individuals to both sell and buy services. Its categories include design, marketing, document, business, computer, music and video, life services, and handmade products. Kmong serves as a supplier of transaction data to the Airbloc Data Marketplace. Kmong has also established interest in purchasing personal data on the Airbloc Data Marketplace to allow individuals on the Kmong platform to execute targetted advertising strategies. Fysical is the world's first code-complete, fully-functional, decentralized location data market. Fysical serves as a supplier of location data to the Airbloc Data Marketplace. Indorse is a decentralized social network for professionals. Through cryptoeconomic incentives and a reputation system, Indorse incentivizes users to add their skills/accomplishments and endorse those of others, Indorse creates a revolutionary trusted platform for verifying one’s profile and achievements. With this partnership Airbloc would be integrating Indorse’s profile verification features to enhance the reliability of data submitted to the Airbloc Data Marketplace. The Data market is dominantly controlled by centralized services that aggregate data and sell them to other enterprises to generate huge revenues. Individuals do not know how their data is collected, priced and sold. Neither fair rewards nor data ownership is granted to individuals, who are the original data source. Because there are no existing markets for apps to sell personal data, apps rely on the sales of data through illegal means. This results in a massive infringement of personal privacy as individuals do not know how their data is collected, priced and sold. Advertising costs have increased because the control of data lies with centralized data brokers. This is a problem for small and medium enterprises as they find it hard to have access to high quality data in low quantities. Today, there are no existing data marketplaces that allow enterprises to purchase high quality and insightful data at reasonable prices to run effective and targeted campaigns. Data consumers / advertisers needs more direct and granular data – beyond simple pieces of info like gender, browsing history and residence. DAuth is an approval system that seeks permission from users to allow apps to monetize their data on their behalf. Collected data include installed apps list, location data, app usage time, browsing history, apps store transaction history, etc. Through DAuth, users will be able to earn from the monetization process. The distribution of rewards is guaranteed by smart contracts. Aside from personal data collected by the Airbloc App and DAuth, enterprises can also initiate data campaigns to collect more granular and direct data about a user. Examples of such data include “Alice likes cats, and is intending to purchase a cat.” Although such inferred data can be bought from existing marketplaces, they are not conclusive of an individual’s real preference, furthermore to even obtain such data would be highly expensive. No such direct data is available today in any data marketplace. Personal data collected will be sold on the Airbloc Data Marketplace and enterprises would be able to buy these data to conduct Targeted advertising. Enterprises will purchase data through ABL tokens, users and apps are rewarded with ABL tokens for supplying data to the marketplace. For more technical information, visit our Technical Whitepaper. 3rd party app developers can install the Airbloc Software Development Kit in 10 minutes and users will immediately gain access to the Airbloc Network. Unlike other blockchain projects like Datum and Datawallet, Airbloc does not have to acquire users by encouraging them to download a native application because of the Airbloc SDK. Airbloc’s proprietary SDK has already been stress tested by over 40,000,000 mobile devices in Korea. 30 million users will immediately be able to monetize their data and supply data to the Airbloc Data Marketplace. This ICO has been promoted in new ICO group, good luck team! Thanks! We are working really hard. if you have any question feel free to ask us. You can fill-in information on the project and join the conversation as ConcourseQ is collaborative and 100% community sourced. Project team can also claim the project’s page and verify links. Thanks for sharing and thanks for your support. I have glanced at your website. I find your project a good one. Why the conversion rate between ABL and AIR- nontransferable token is 1:1 rather than other rate? Your initial token is 400 mil? What's the maximum supply? By the way, I would like to translate your materials into Vietnamese if you want. Thanks for nice questions about AIRBLOC. Maximum supply converges to 538 million ABL. Thanks for your support! for translating please contact us on community telegram. This is very impressive. It could be a good investment! Hi Airbloc team we would like to invest..is there a way we can speak to your team member. many thanks to supporting us. 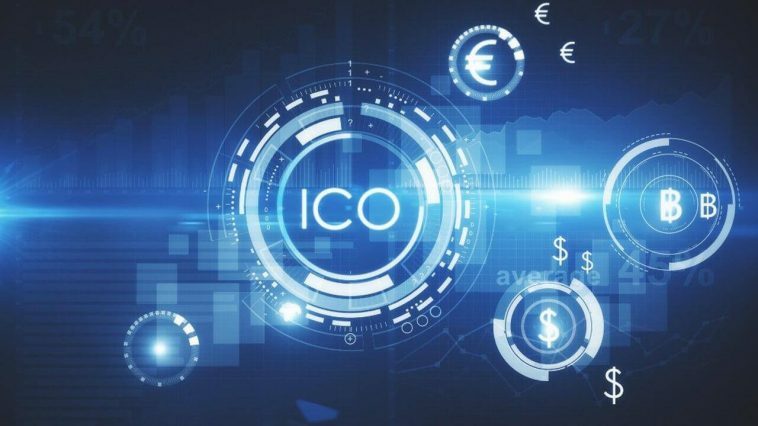 Allbit is a new type of exchange that is being developed by blockchain technology start-ups Ozys, and has recently attracted a great deal of attention because of investment by Dunamu operating Upbit. Airbloc will be listed on Allbit with this strategic partnership agreement. indeed a promising project. ill definitely watch out for these after I've read that announcement that it has signed a strategic partnership agreement with ICON Foundation(@helloiconworld) and Deblock. Airbloc will use ICON to develop Aero Network this is totally insane. How about bounty campaign if ever? Airbloc is a blockchain-based, decentralized and transparent ad data trading network and a DAPP. when will the ico start? what is the minimum to invest? Is the bounty going to be or not? Recently, serious projects do not organize bounty in social networks, sometimes signature campaign, but this is rare. Statements in white-paper are just words, and not more. Explain, what really happens with the token? https://circleci.com/gh/airbloc/token/tree/master https://github.com/airbloc/token - what is the problem, what are the reasons for such changes, and why they are not corrected?